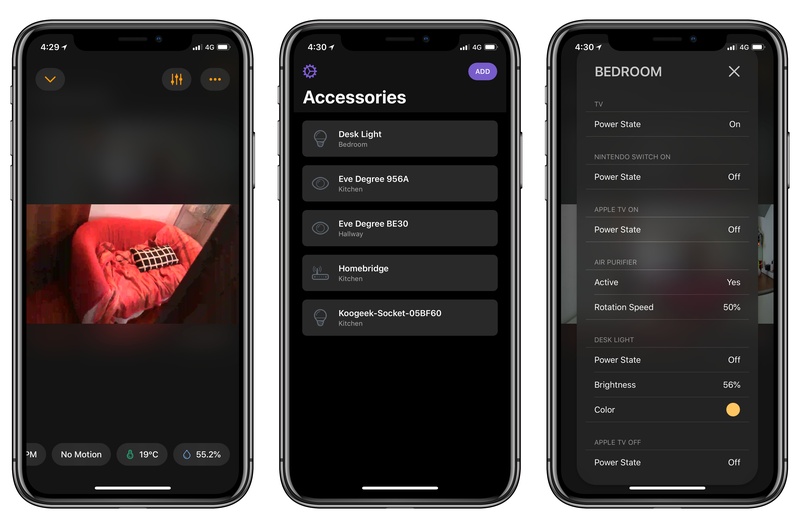 I'm a big fan of HomePass and Homecam, the two HomeKit utilities created by indie developer Aaron Pearce to store accessory setup codes and view live feeds of HomeKit cameras, respectively. I covered both apps a few times on MacStories this year, and I'm glad to see two substantial updates released by Pearce today that address all my complaints from previous versions. HomePass, the utility to store HomeKit accessory codes in one unified dashboard, has been updated with the ability to scan codes directly via an iOS device's camera. Just like Apple's Home app, HomePass can now recognize the 8-digit code sequence contained in a rectangle shape that is always attached to HomeKit accessories or included somewhere on the package or instruction manual. Once a code is recognized, you'll need to confirm it before saving it in the accessory's detail view, where it can be accessed for future reference. According to Pearce, building this type of OCR into HomePass was a technical challenge as Apple doesn't provide third-party developers with an API to natively scan HomeKit setup codes. In my tests, HomePass did a great job in scanning codes in different lighting conditions. The built-in scanner removes a lot of friction involved with adding existing accessories to HomePass, which now offers comprehensive tools to import accessories via the HomeKit API and scan their codes with the camera. I wish I had HomePass when I set up my Elgato Eve Door sensor years ago, because I realized last night that I lost its original setup code and I don't know how to add it to my Home app anymore. Lesson learned: I'm going to back up all my codes in HomePass from now on. The update to Homecam, my favorite way to access the live feeds of my HomeKit cameras, follows the functionality that was previously added to Homecam for tvOS. As in the Apple TV version, Homecam for iOS now lets you check and interact with a camera's surroundings. Stats from nearby sensors such as air quality, temperature, and humidity are displayed at the bottom of the camera view; furthermore, by tapping on the settings icon in the top left, you can control individual accessories as you're watching a video stream. Today, for instance, I was out shopping and I opened Homecam (which supports HomeKit remote access) to check out the camera in our living room. After seeing in Homecam that the air quality was "inferior", I turned on the air purifier and set its fan speed to 60% directly from Homecam. I was able to confirm that the action was completed because I heard the air purifier turn on as I was watching the feed. While I was at it, I also turned on a light and changed its color, which was immediately reflected in the underlying video player. If you're serious about HomeKit, I can't recommend HomePass and Homecam enough. Both apps bring powerful features that Apple doesn't include in its built-in Home app; especially if you've bought into the HomeKit ecosystem and own multiple cameras and sensors, the latest Homecam update enables you to have a more contextual, versatile overview of all your cameras around the house. At this point, I hope Pearce will devote his attention to watchOS, as I feel like Apple's Home app for the Watch is overly limited and slow to use. I could use something faster and more customizable to control individual accessories and scenes from my wrist. HomePass 1.1 and Homecam 1.4 are available on the App Store.